Fr. Rogel Abais, SJ, is the Vice President for Academic Affairs of Loyola School of Theology (LST), Manila, Philippines. 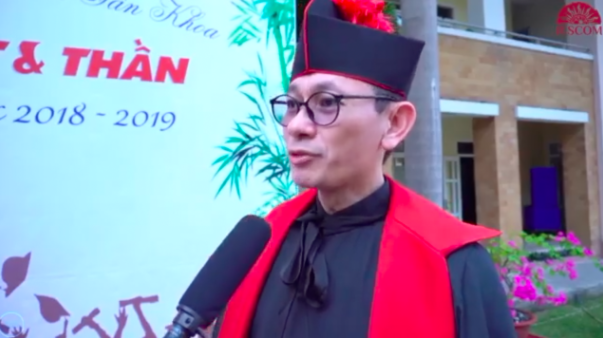 On 26 March 2019, he visited Vietnam to join the Graduation Ceremony of the St. Joseph Jesuit Scholasticate (SJJS) of the Vietnam Jesuit Province as a representative of the LST with which the SJJS has been affiliated since 2018. Below is a video interview with Fr. Rogel.